While back-to-school laptops designed for working and studying on often share similar features and specifications to their rivals, there are some whose features really stand out from the crowd. The Asus X32A is a great example of a laptop with innovative features that differentiate it from the competition. Yes, it includes the staple basics we've come to expect from these laptops, like a 13.3-inch display, a decent amount of DDR3 RAM (3GB) and a 320GB hard drive. That screen is excellent too, with a high contrast ratio bolstered by LED technology producing sharp images not found on cheaper screens. A good display is essential for a laptop you'll work or study on for long periods of time, so it's great to see a good one here. However, it's the extras that really impress. 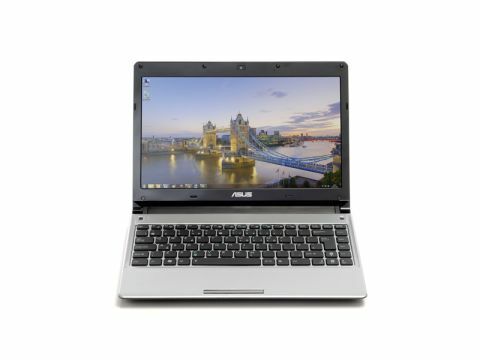 As well as coming with Windows 7 Home Premium installed, the Asus X32A also has a light, Linux-based operating system that can be launched with the push of a dedicated button. Unlike Windows 7, the other operating system loads in seconds and gives you access to programs like Skype, email and a web browser. Running the lighter operating systems as opposed to the full-fat Windows 7 also gives the battery life a boost. The ability to boot up and start working almost instantly is a real bonus, and although the inclusion of a secondary 'instant on' operating system isn't unique to the Asus X32A, it's usually the preserve of more expensive laptops.